A binomial is composed of two parts that form a single one. 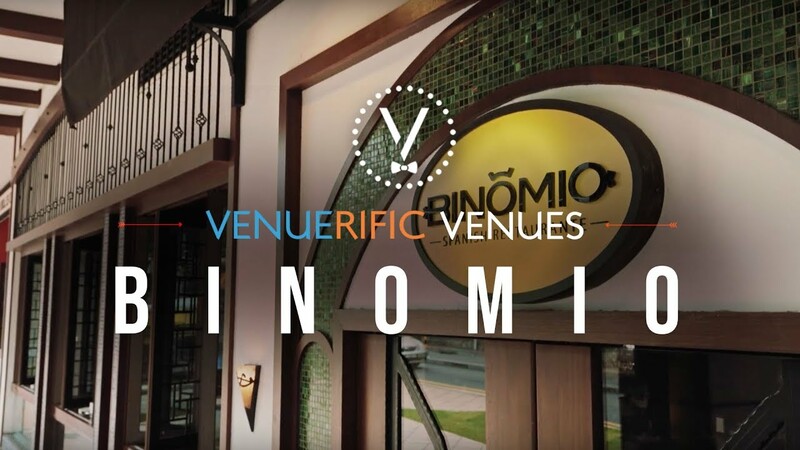 With that, Binomio Spanish Restaurante, is the combination of two vital concepts in the Spanish cuisine: Tapas and Restaurant Quality food inspired by the traditional Spanish taste is served. One can experience an elegant and warm service that is sure to leave unforgettable personal memories. Three types of rooms are available for a variety of events in this exquisite Spanish fine dining restaurant. Executive Room: A/V facilities with integrated projector. Good for wine dinners, corporate lunch meetings, birthdays, etc. 30 pax sitting/50 standing (minimum spending $3,000). Private Room one & two: Classy and cosy room, set up for private events, 18 pax Seating/ 30 Standing (minimum spending $800++ or $1,600++ combined).